Long time back, we have shared post about "How to Generate Bar Code with PHP". In that post we have given complete explanations and details about barcode code generation. 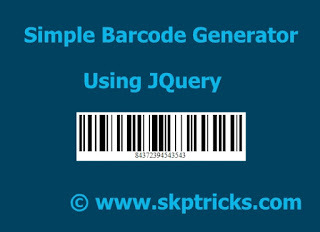 Now Today we are going to discuss similar topic as it is very useful and provide the simple way to generate the barcode using readily available JQuery Plugin. The best part is that this lightweight jQuery plugin has the ability to generates 8 types of Barcode and outputs as CSS, BMP, SVG or Canvas for your work. If you want to change size,color,font etc of barcode, then you need to perform some modification in setting variable. Do the below change in Jquery Code. 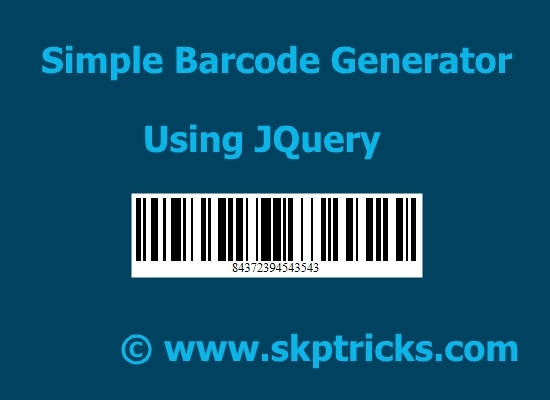 Similarly you can generate the different barcode type, by mentioning the barcode type in JQuery barcode function. Check out our blog archive on the topic if you’re looking to learn about How to Generate Bar Code with PHP.